Whatever your needs, wants and goals, together we can find the right service for you. I would like to welcome and thank you for visiting Darren Bettison Wellbeing Service. 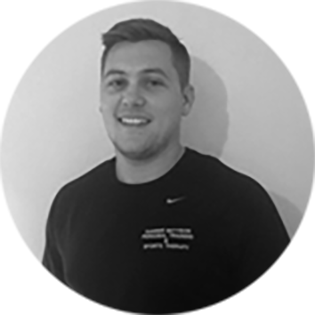 I am a fully qualified Biomechanics Coach, Sports Massage Therapist and Personal Trainer with over 13 years experience working within the health and fitness industry. During this time, I have gained invaluable experience with a variety of clients. At 12 years of age, I was diagnosed with Ankolosying Spondilitus. 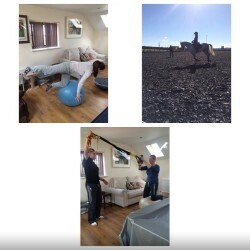 Through years of limited mobility and pain, I have learnt to manage the condition by keeping mobile, moving freely and trialling other exercises. This really helps me to move better and lead a normal lifestyle. Researching this condition was where my passion grew to not only become a personal trainer but to study recognised areas of weakness and how to manage those weaknesses. For several years now, I have had the pleasure of working with Sophie Wells MBE, Paralympic, world and European gold medalist in dressage. I work with Sophie to ensure her body is working efficiently, highlighting any mechanical weakness and ensuring strength and stability, essential for riding and technique. 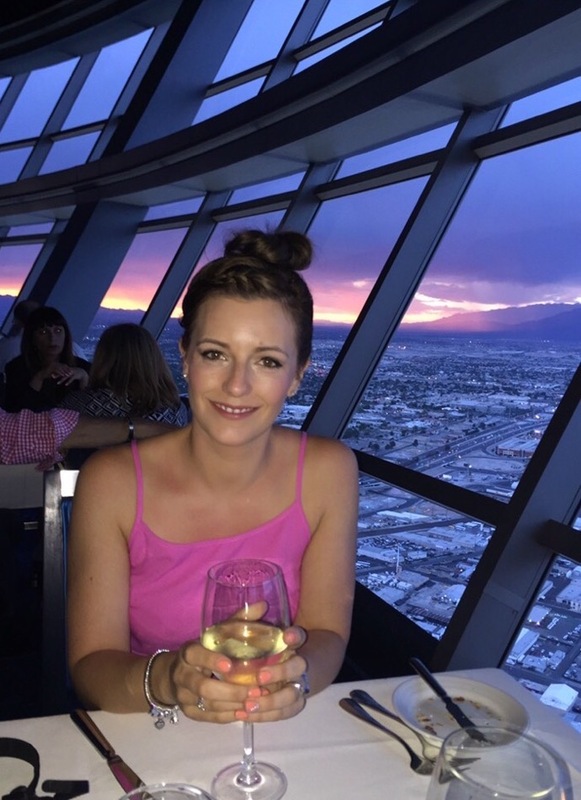 Laura undertakes all administration work and social media posts. A few words from clients I have had the pleasure of working with! I’m doing the Marathon des Sables in April 2016 and Darren’s expertise has become invaluable to my preparations. His understanding of biomechanics and physiotherapy has helped me to overcome an injury which could have caused a serious interruption to my training. He’s helping to strengthen my body for the rigours to come and with his help and training regime he’s very much key to helping me succeed in Morocco. I would recommend him to anyone whose serious about achieving fitness goals. Thanks for all your help Darren. I’ve had my second session with Darren today and it’s amazing how much I’ve improved after practicing his exercise programme daily since the last session. It’s really helped me sit straighter on my horse. Can’t wait for my next session in a month. He’s really helpful and makes you feel at ease even if you are struggling to do an exercise. 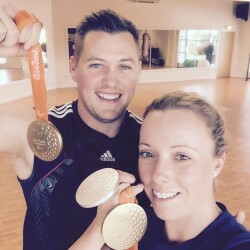 I’ve work with Darren for several years with Biomechanics, Sports Massage and now in the gym, he’s done great things to my performance, and is a key part of my team. One hour Biomechanics Coaching - £40. A follow on strength planning appointment is recommended after first visit. Another new Biomechanics coaching clinic to added to a busy work schedule. Sessions include a lesson from Sophie then a Biomechanics screening from me. I’ve been screening the pelvis for possible sign of weakness and screening core strength. Sorry to say bye to my I move freely class. I have been teaching this class for the last 6 years and worked with a fantastic group of clients. Other oppertunties are getting the better of me and its hard to keep turning it down. Well done to Sophie Wells who returned home from the Rio 2016 Paralympics with two gold medals and 1 silver medal. January 2017 Old Hall Dunstal A evening with Sophie and Darren was a great success, to a sell out crowd of equestrians. I was demonstrating excises to improve a riders posture and techniques to improve strength/ flexibility. 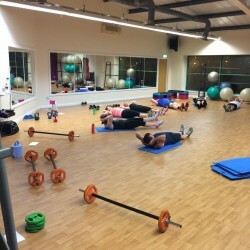 Get fit & Get involved Bettisons BOOTCAMP Tuesdays 19.00 Thursday 19.00 Friday 6.40 All classes held at Fitness Flex Mansfield. 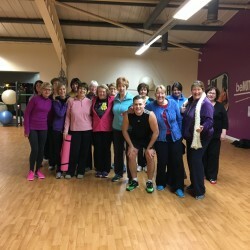 You don’t have to be a member to join in my classes, contact Darren to secure your place. Well done to Jack who has recently signed a year long contract at Mansfield Town Football Club. Jack trains with me once or twice a week. 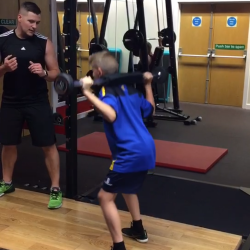 We work on specific strength exercises to improve strength. 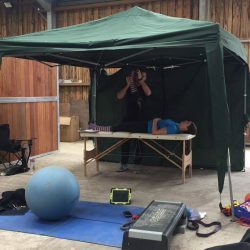 My first Biomechanics clinic at Denstone Stud Livery, Uttoxeter. Thanks to Jane and her team.